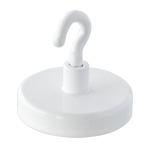 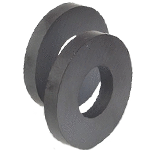 Ferrite Magnets (also known as Ceramic) are highly corrosion resistant, they can be used in water or weather exposed applications. 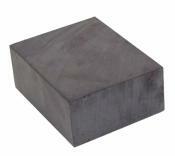 Although not as powerful as Neodymium Rare Earth, Ferrite is the most cost effective material available. 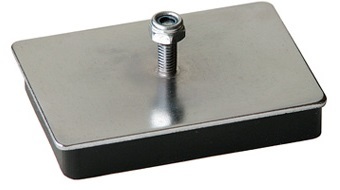 High coercivity, low cost option. 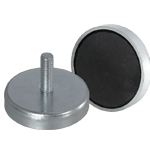 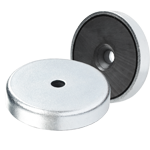 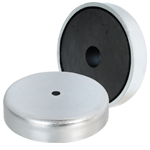 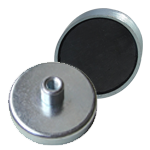 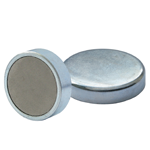 Ferrite magnets are also electrically insulating - they do not allow eddy currents inside them.